Seto was a backup choice for me. It was a Wednesday and HK BBQ Master was closed so as a fall back I decided that Seto would have to do. 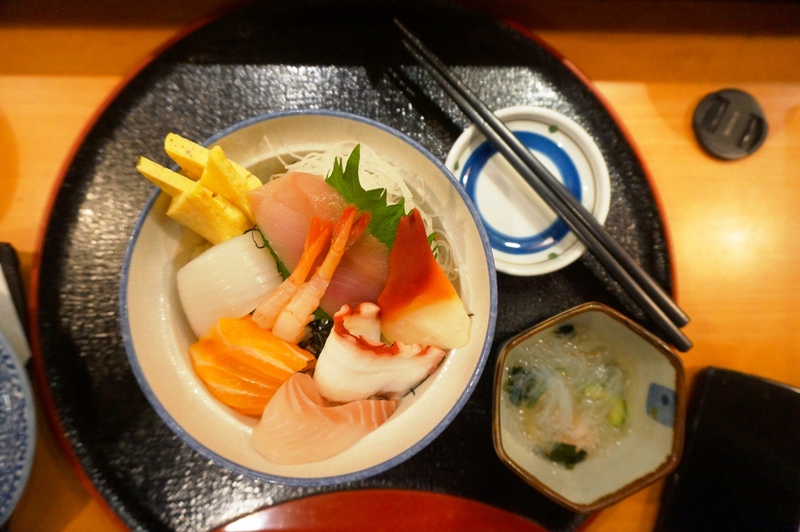 I went in and after having no idea what to get I settled on the chirasi set dinner; it was served with miso, tempura, sunnomono then the chirasi which was an assortment of fish served over sushi rice. I usually don’t get into the miso soup but it was particularly cold that night so I dabbled and I’ll be honest, I was surprised, not packet like at all. Out next the Tempura was and it was done right, super crisp batter that didn’t feel heavy with perfectly cooked vegetables. I was a fan. 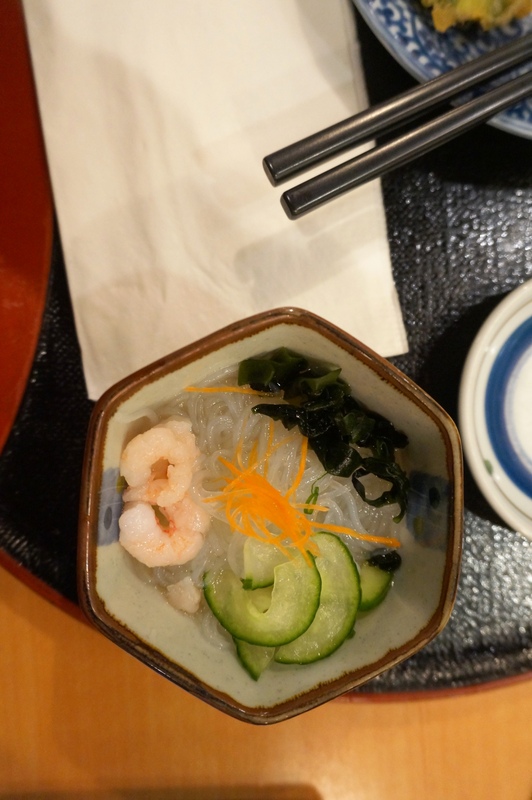 I’d never had Sunnomono before and was not sure what I was going to get; I had no complaints, a sweet, citrusy and slightly acidic yet refreshing combination of cold noodles and ebi. This was the start of many sunomono’s I had while in BC. Out next was the bowl, it was a good looking dish, the fish was fresh and of a good quality but the more I ate the more I felt like the sushi would have been better; it would have separated the flavours and had each piece stand out more. 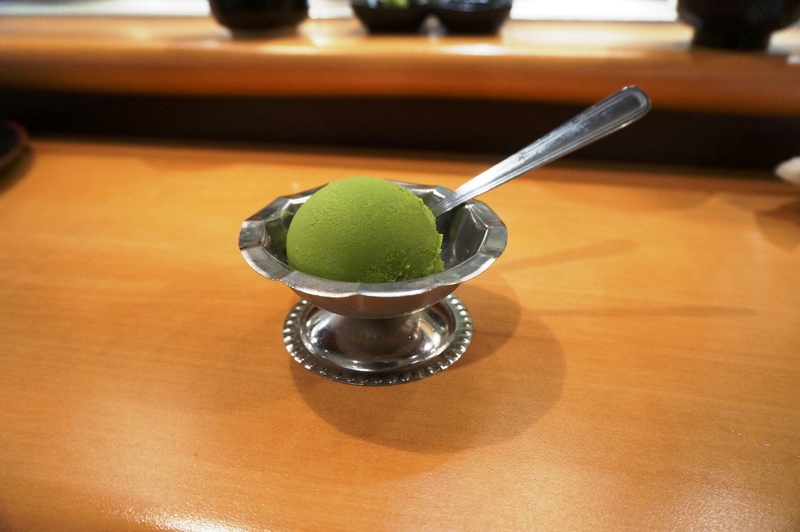 Lastly a Green Tea ice cream which I did not enjoy, I mean it could have been good but I hate green tea flavoured anything. 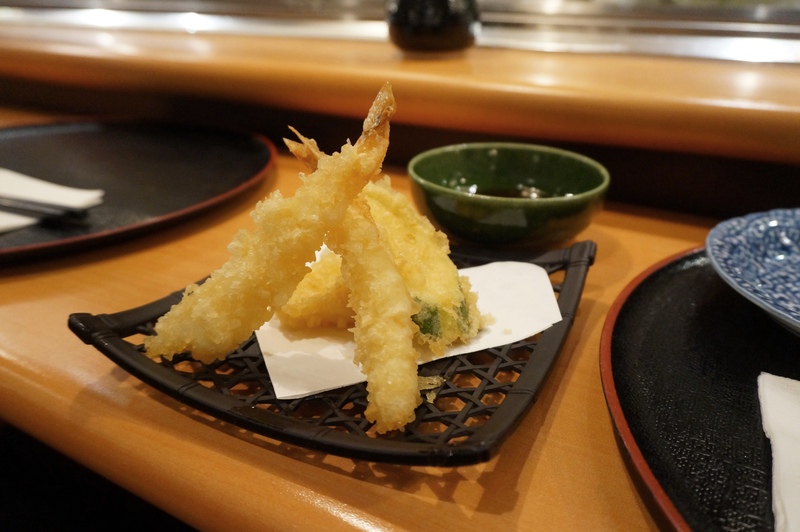 Posted on January 14, 2016 by AdrielPosted in Canada, SteakLESS, VancouverTagged sunomono, sushi, tempura, vancouver.